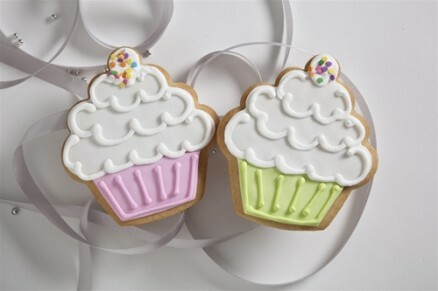 Celebrate a special birthday with swirly cupcake cookies. Approx. 4.25"x5" each.